My eldest son will celebrate his 8th birthday tomorrow. I have been looking for a cake designer lately, but I can not find anyone close to our place at short notice. I have a blogger friend Iris of Project Happiness who also bake fondant cakes (its her business actually) but unfortunately she cannot attend to my order as she is leaving or perhaps left already for the province. She was the one who made the cake and cute cupcakes for for Alexa's 3rd birthday in December 2011. As the birthday is tomorrow, I don't have any choice but to order from Goldilocks or Red Ribbon. Hope someone can advise me a better cake shop. That is one cute cake. I hope you can find someone mommy. :) Good luck! Visiting via BPC. 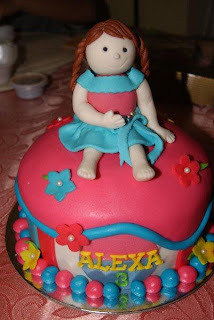 Just for a couple of days, I need to prepared what kind of decorate cakes I need to for my baby birth day party. Maybe yes for Goldilocks, Thanks for input an ideas to me. 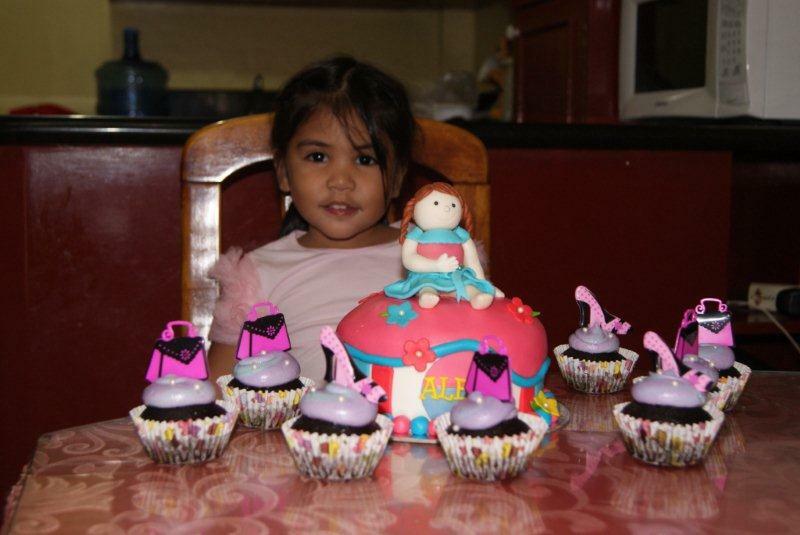 You had a beautiful cake..Love it thanks for sharing this post to us..
hehehe ! I only know red ribbon and Goldilocks too. I like cakes at reb ribbon though. http://www.shahzmusing.com/2012/02/my-closet-photo/ late visit from the #46 Blog Photo challenge.